League of Angels, GTArcade’s award-winning browser MMORPG, is ready to introduce a new system for Armaments and a new mount evolution! Have you decked out your mounts with Armaments yet? Do you want to see your mounts become true mythical beasts of immense power? 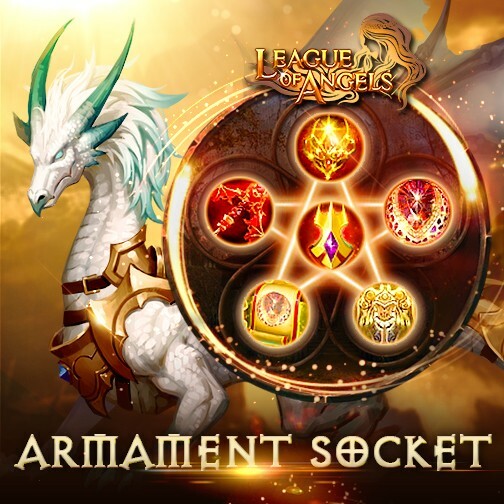 League of Angels’s brand new Armament Socket system, available on June 30th, will allow you to do just that! Check out all the new content below. Armament Socket is a new function which will enable your mounts to become far more powerful! Available at player level 78, players can now place new Armament Crystals into sockets on their Armaments to gain massive stats. The number of sockets each Armament has will depend on its quality, ranging from 1 to 5 sockets. Armaments with 3 sockets or more (Legendary and above) will have additional socket bonuses. Each Armament Crystal will provide specific stats, and they can be synthed up to level 10 to increase their stat bonuses. Once socketed, they can be replaced as well if players so choose. Players will be able to obtain Armament Crystals from Horse Treasure. Master the new Armament Socket system to upgrade your mounts to never-before- seen levels of power! If equipping your mounts with powerful Armaments isn’t enough, then you can Evolve them into the ultimate beast! 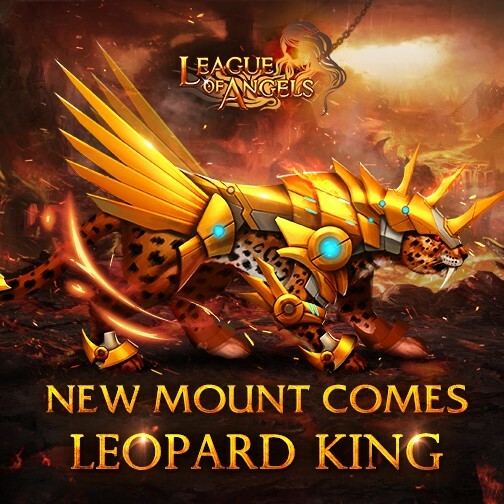 Along with the new Armament socket system, the Leopard King mount has also arrived! Evolved from Leopard, this swift and deadly new evolution is sure to turn your faithful feline into a terror on the battlefield. Besides providing significant stat boosts, Leopard King’s Glamor skill “Savage Roar” gives a stacking attack and crit buff, perfect for players seeking to greatly increase the damage output of their team. Ride fearlessly against any opposition with the Leopard King! We hope LoA players will enjoy the new Armament Socket system and new Leopard evolution in this update, and look forward to much more great content coming very soon. 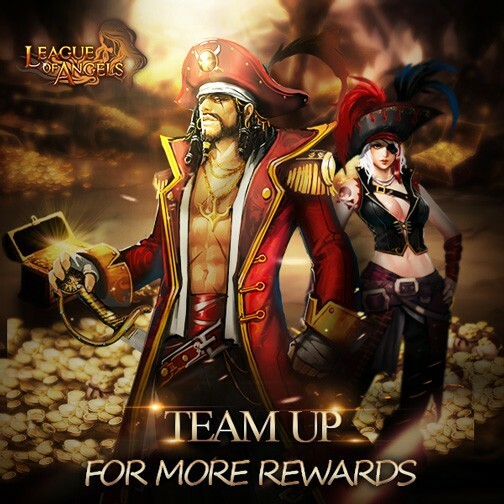 Join LoA today and experience one of the hottest browser games for free!